Hi! Are you ready for some quality piano lessons for beginners? If yes, then is the website is for you. 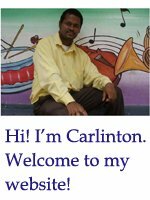 You have been brought to this page because you have been searching the internet for beginner piano lessons. The piano is a great instrument and so a lot of time and effort has been invested in this resourceful website to help you. So how do you see yourself as pianist in the near future? Are you willing to practice hard untill you are satisfied with your piano playing skills? Do you want to go to the highest level as a pianist? Whether you want to learn to play the piano for your own personal development or for career reasons, you should be prepared to dedicate some quality time for practice. On this page I will outline some basic but vital information that you should know before you start your lessons. Before you start to take any piano lessons, you need to examine yourself and find out if you really have the passion for the piano. When an individual is passionate about something he or she will go the extra mile to accomplish, enhance or develop it. Many individuals have started to play the piano and then gave up. Giving up is not an option if you really want to accomplish something in life. Choose-piano-lessons.com is dedicated to research and present the most suitable piano lessons for beginners that will help all individuals develop their piano skills. Here are some important points to consider if you are about to take some beginner piano lessons. - All piano students must have a piano or a suitable keyboard instrument to practice on. This is the Key to success if you want to become great piano player. Practice becomes perfect! How can a work man accomplish the job properly without his tools? - Make sure you have a piano teacher to guide and push you from one stage to the next. A piano teacher can help you clear up any issues you have during the learning process. - Do not limit yourself to just one source of information. There are lots of websites with piano lessons for beginners out there. Some websites may offer E-books, DVD piano lessons and other forms of piano tutorials. 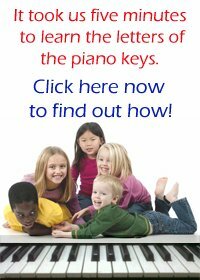 CLICK HERE TO VIEW SOME OF THE FREE PIANO LESSONS ON THIS WEBSITE. A number of individuals have learned to play the piano with no tutor around to guide them. This approach can be referred to as the popular expression "do it yourself". "Do it yourself" (DIY) is an expression used by individuals who have taken on the task of developing, modifying or repairing something without the aid of a professional. So, the question is can you learn to play the piano by yourself? The answer is ....Yes you can! However, the real meaning of "do it yourself" will be altered a bit; because you still will be guided by resources from experts or professional piano teachers. It is like they are right beside you. So as a beginner you can learn to play the piano by yourself. But it is your duty to search for quality materials that are designed to teach you the piano effectively. As I've explained earlier, there are a number of resources such as books and videos with piano lessons for beginners on the global market. Make sure you take full advantage of all the resources available. START YOUR PIANO LESSONS NOW! Click here to learn all the keys on the piano in minutes. Click here and learn to play simple melodies with piano notes! Local Music Teacher – Are they still important to you? Leave piano lessons for beginners and return to home page!